MARRIOTT International announced last month that it expects to add 19 new properties and more than 3,000 rooms to its Middle East and Africa portfolio this year. The new additions are in line with the company’s expansion plans to add more than 100 new properties and nearly 26,000 rooms across the region by the end of 2023. Marriott estimates its development pipeline through 2023 represents up to $8 billion of investment from property owners and is expected to generate over 20,000 new jobs across the region. The company is poised to expand its luxury footprint in the region by more than 70 per cent by the end of 2023, with more than 25 luxury properties under development. The company expects to grow its luxury portfolio in 2019 with seven anticipated openings across four brands. 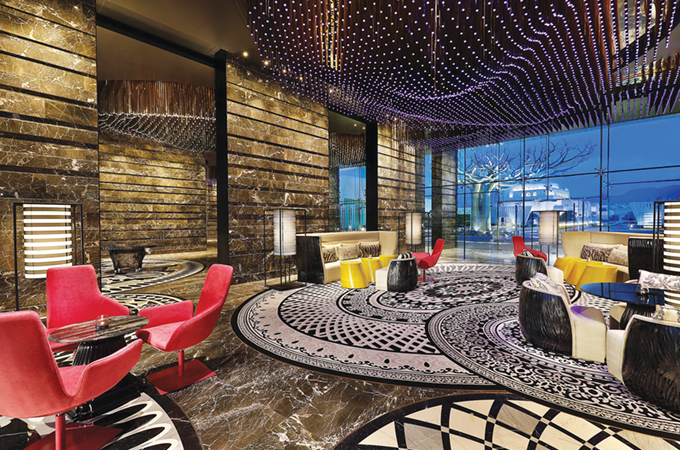 JW Marriott anticipates marking its entry into Oman with the opening of the JW Marriott Muscat Convention Centre. The growth of Marriott’s premium brands remains steady across the region with more than 30 hotels expected to be added to the portfolio by the end of 2023. By the end of 2019, the company expects to have added four new hotels under its premium portfolio for the region. Marriott is also planning to open its second property in Algeria, in the capital city of Algiers. Currently representing over 40 per cent of the company’s development pipeline through 2023, select-serve brands continue their rapid growth trajectory across the Middle East and Africa. Building on the momentum from 2018 – with ten properties added across the region, including four Aloft hotels in the UAE - the company expects to add seven new properties by the end of this year. Four Points by Sheraton anticipates expanding its portfolio with a total of four openings in 2019.